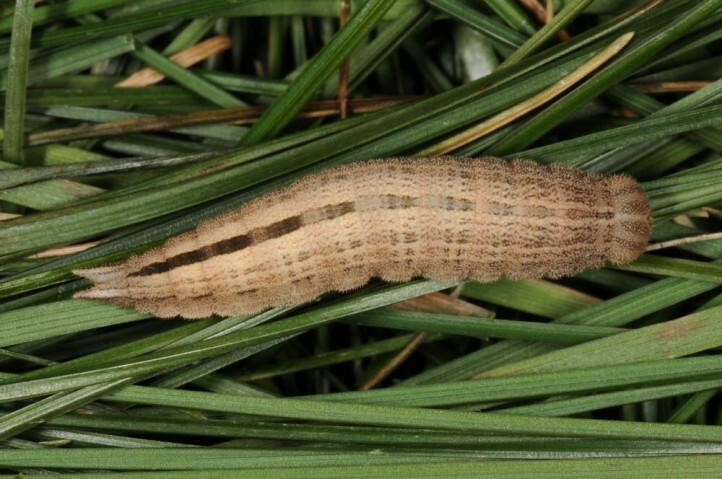 The larva feeds on various grasses (Poaceae) of its habitat. 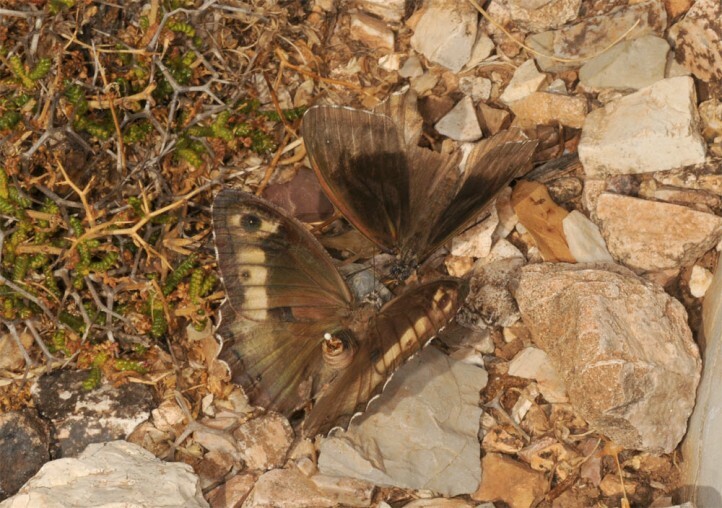 Hipparchia syriaca inhabits a biotope complex. 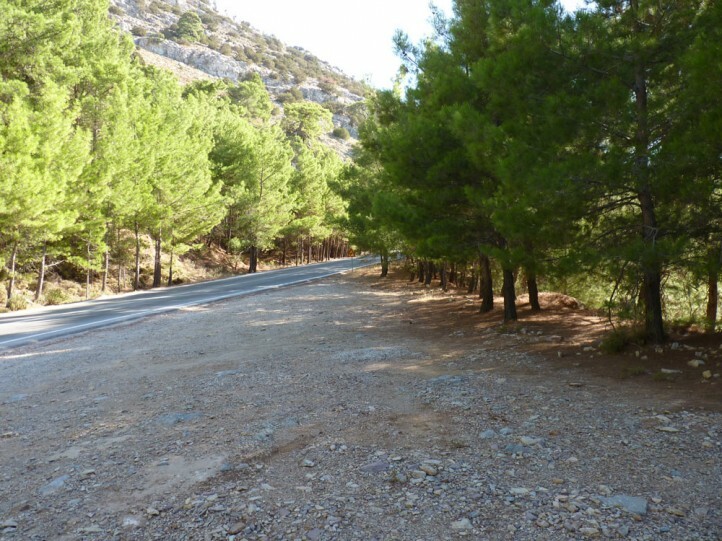 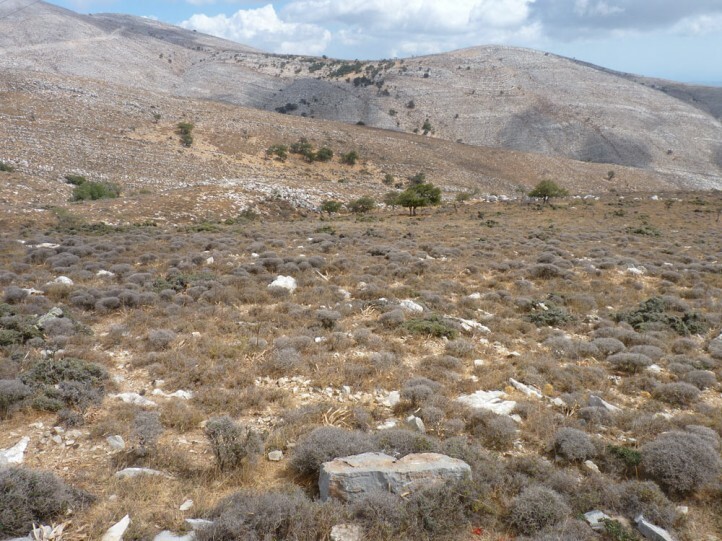 Open Garrigue, rocky slopes and clearings serve as larval habitat whereas the adults aestivate preferably in pine forests and other tree dominated areas. 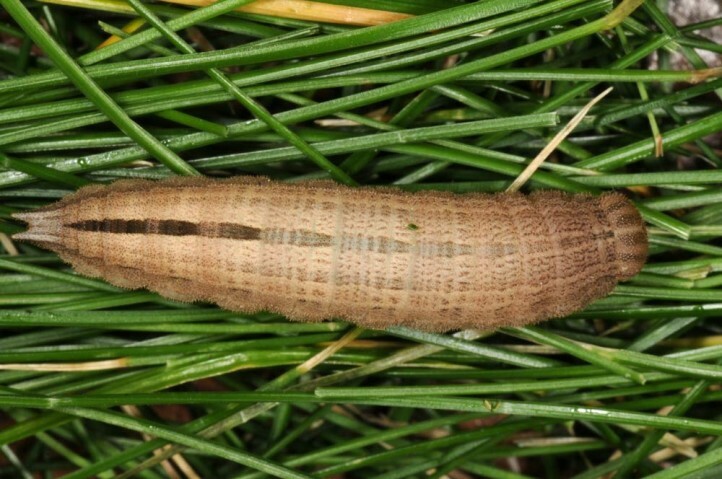 The larva develops from autumn to spring and should be mature from April. 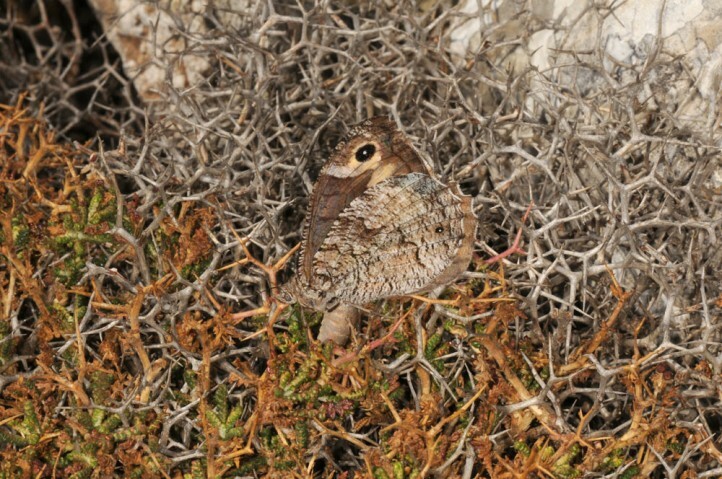 The adults appear in the south (e.g. 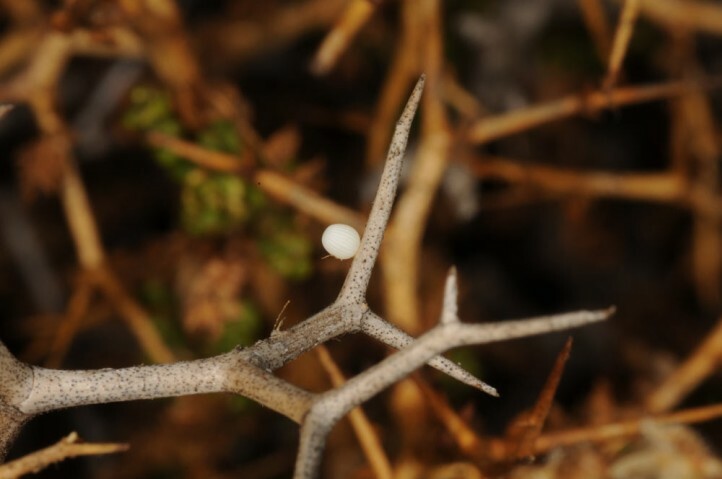 Rhodes) already in May. 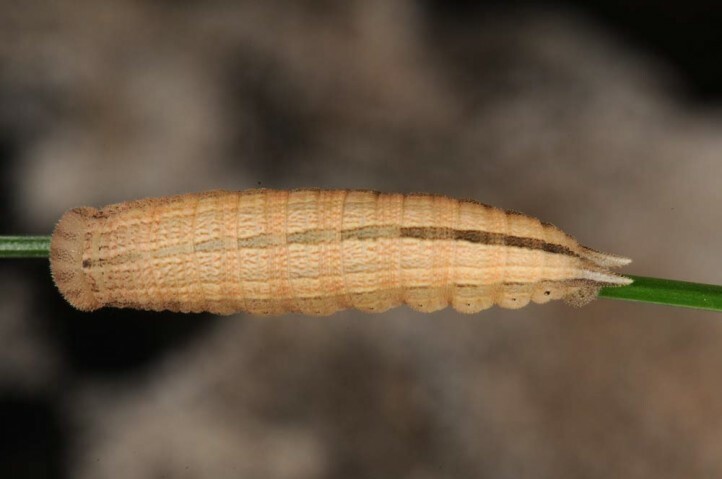 They backtrack soon into the pine forests for aestivation. 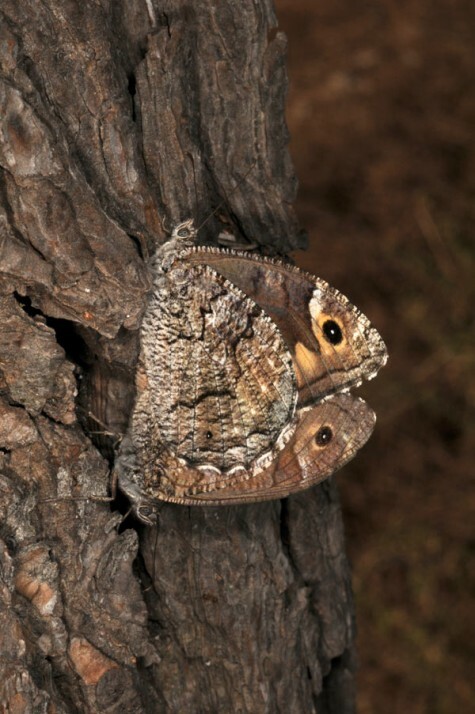 They sit on tree trunks, stones or occasionally on the ground and are capable of normal flight behaviour. 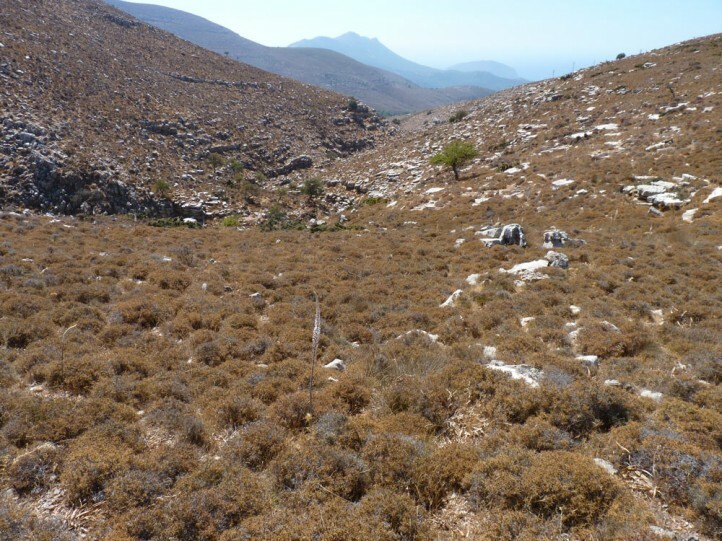 In Rhodes the aestivation usually lasts at least until September. 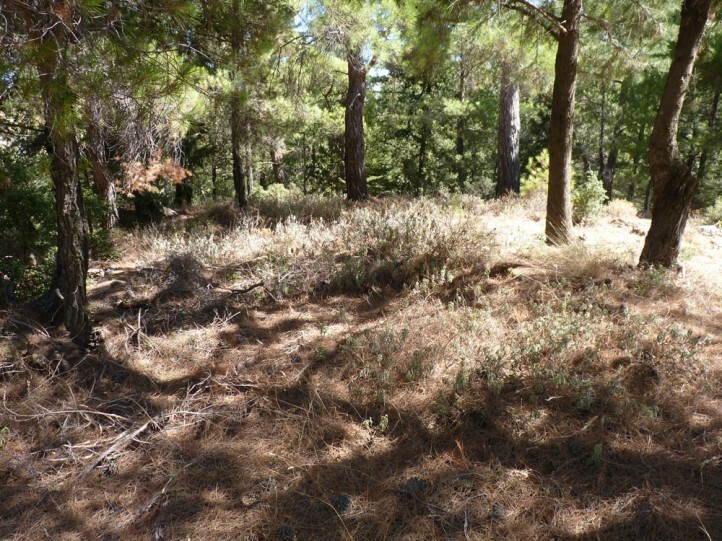 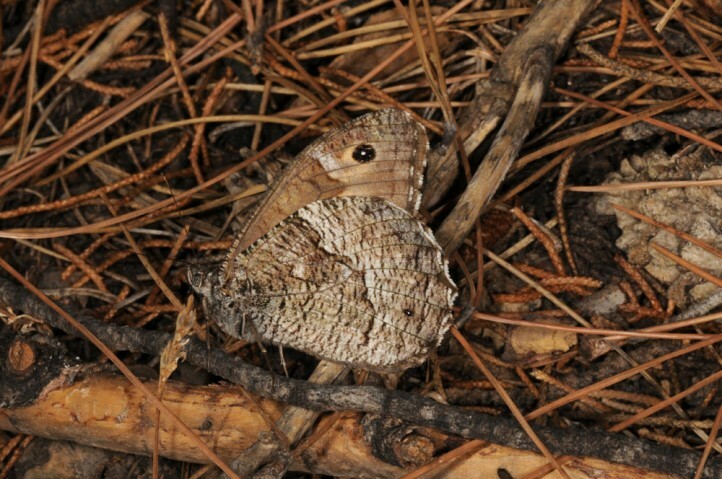 Then courtship and mating takes place around the pine forests and the butterflies change into the larval habitats. 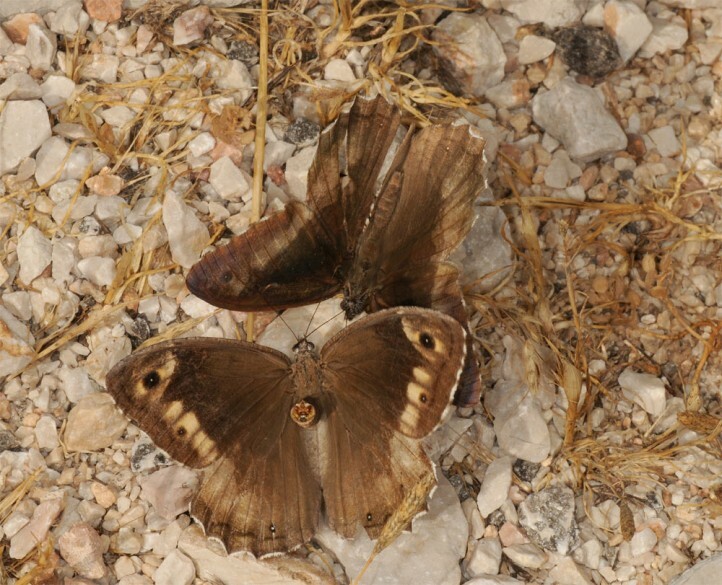 In Rhodes in late September 2013 I observed further courtship there, but no more copulae. 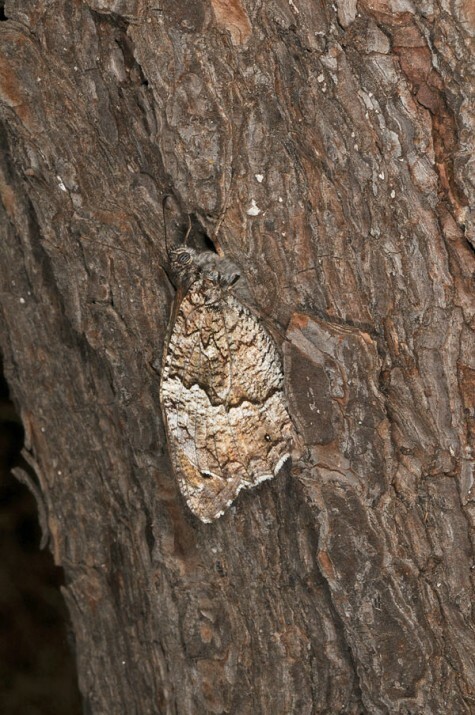 Because mating takes place not until autumn, also the males aestivate regularly which stands in contrast to some other species where mating occurs already in early summer (Maniola telmessia). 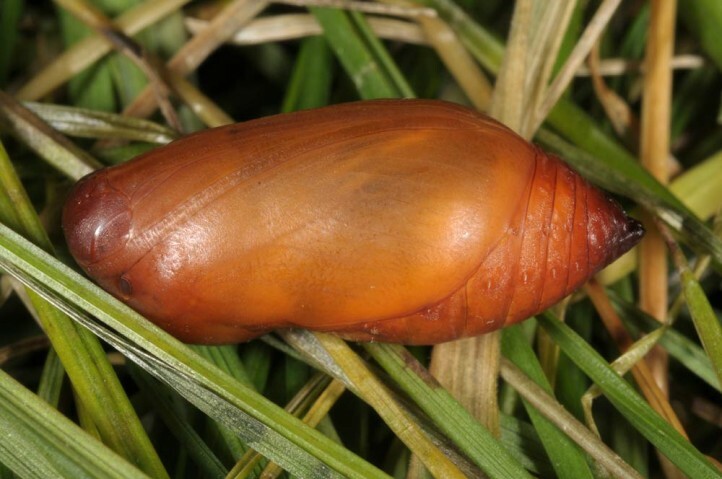 Oviposition takes place in September and probably well into November. 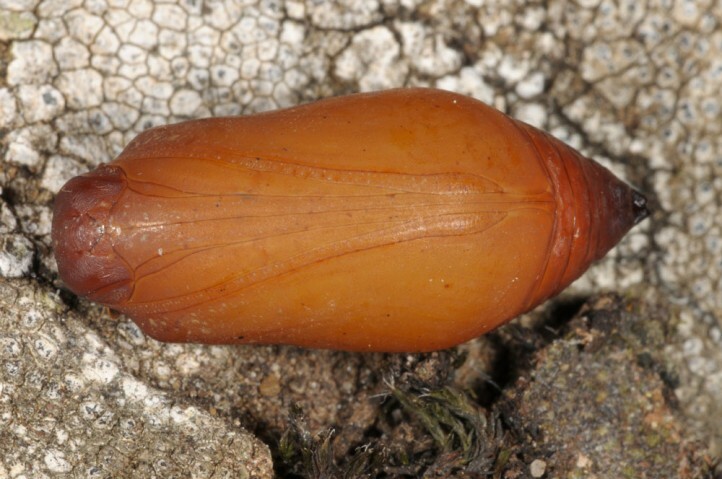 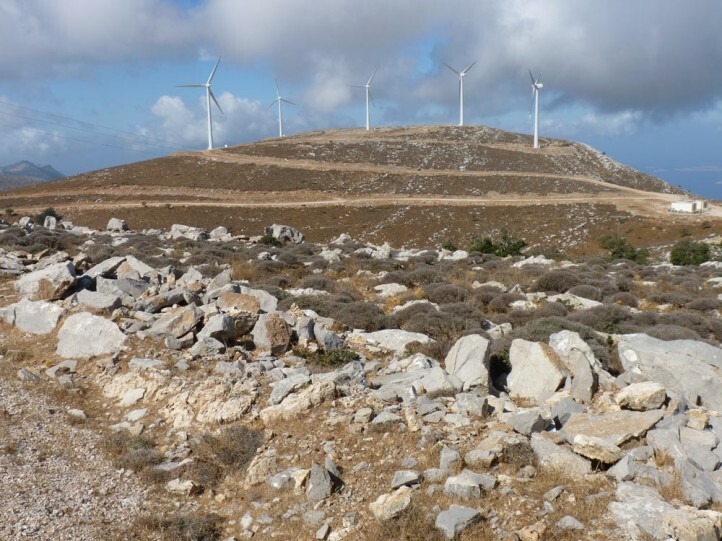 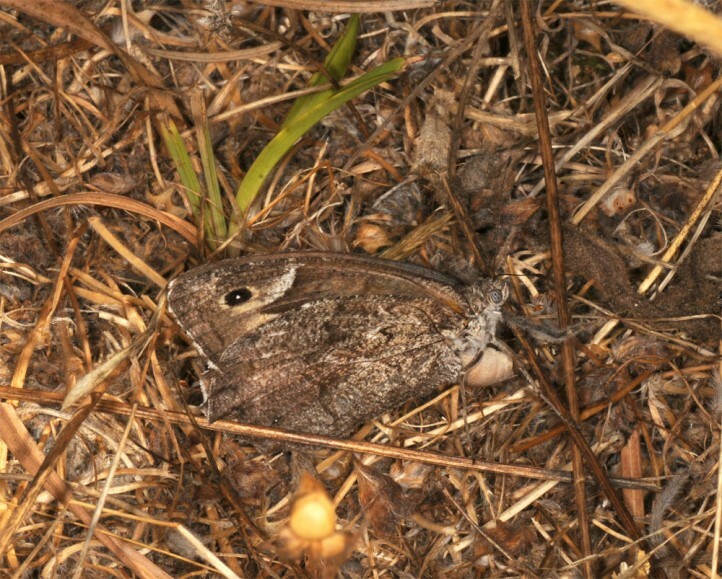 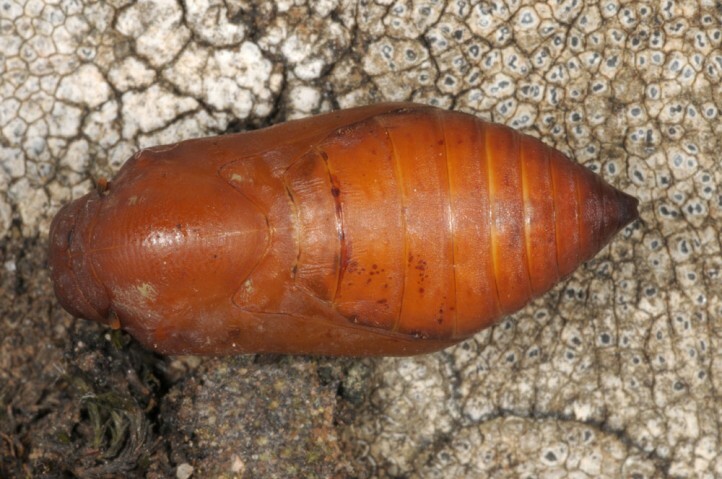 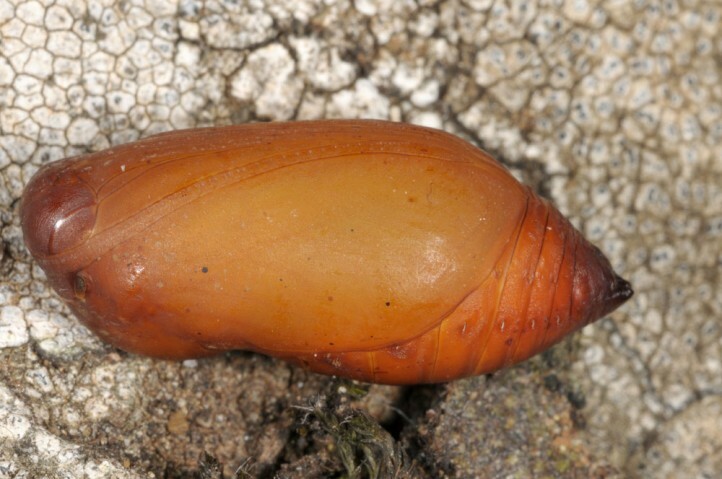 I observed many ovipositions in Rhodes on Mount Attaviros in late September 2013. 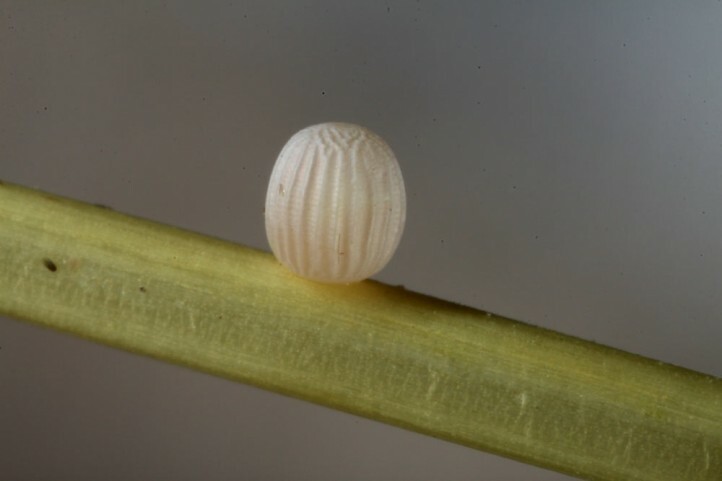 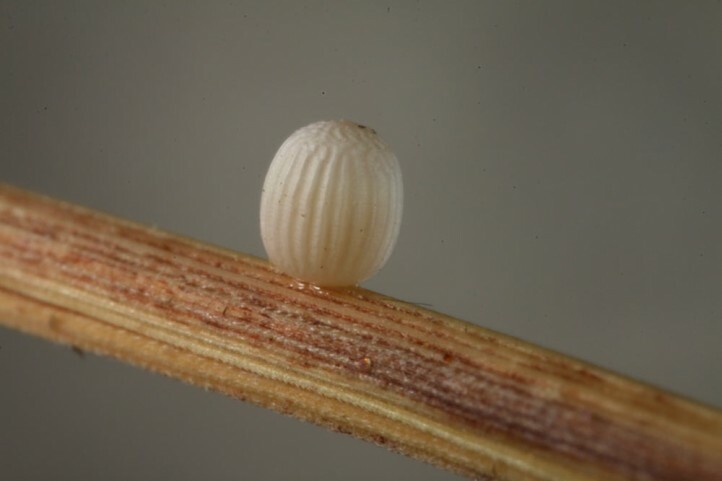 The eggs are often deposited on twigs of dwarf Garrigue shrubs, but sometimes also near the ground or at grass blades. 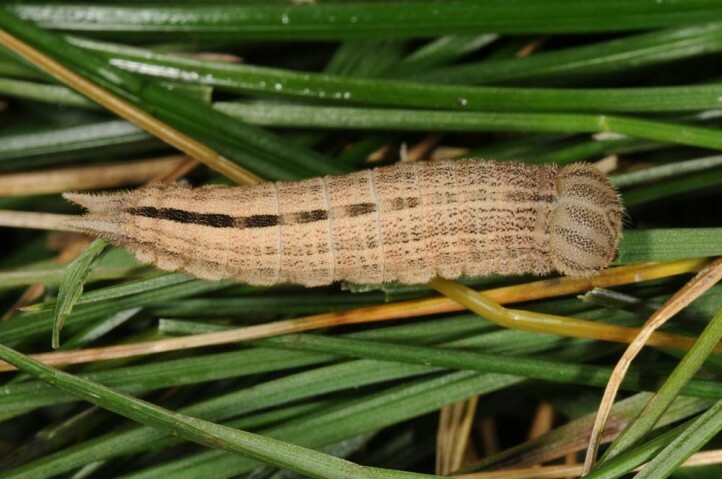 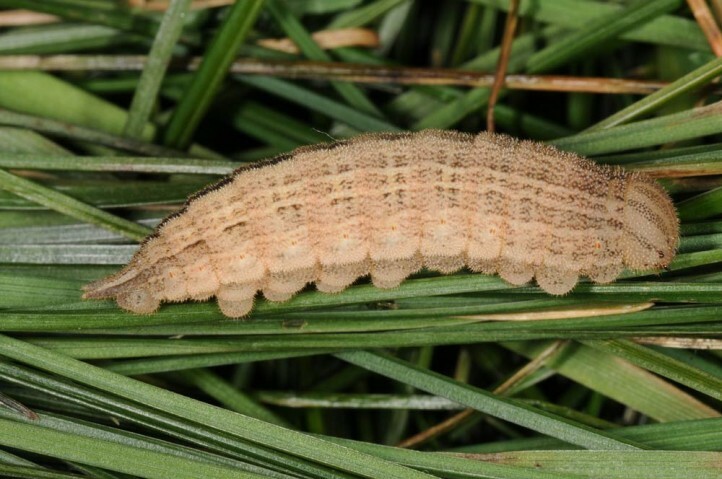 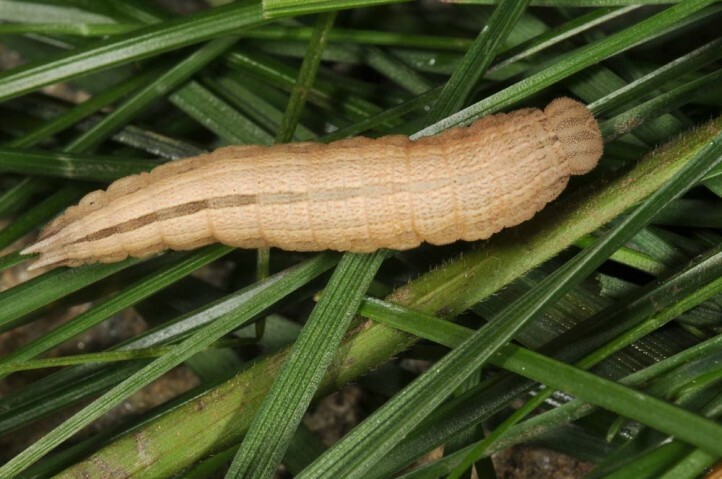 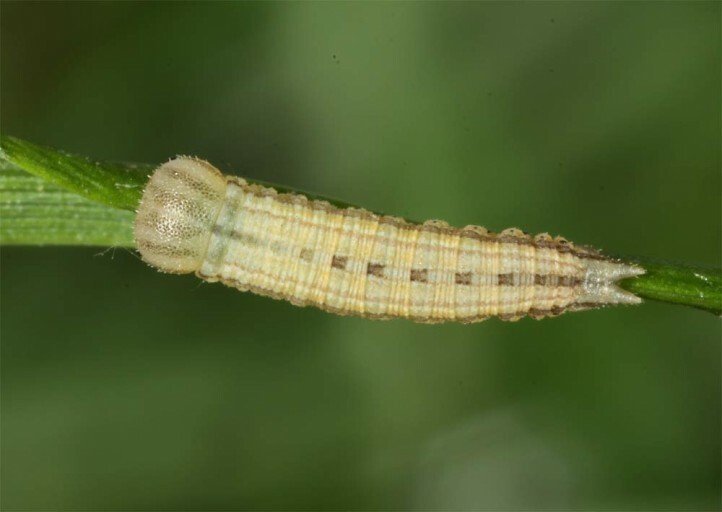 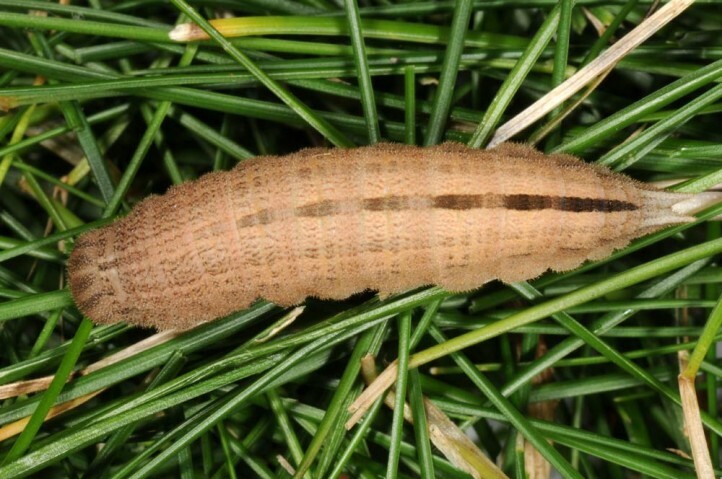 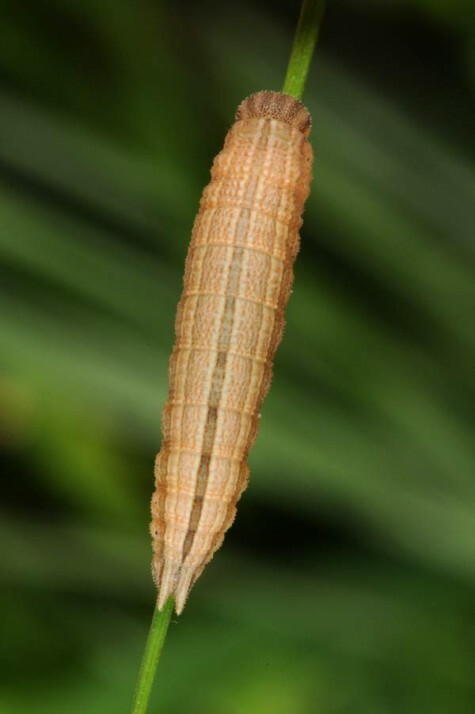 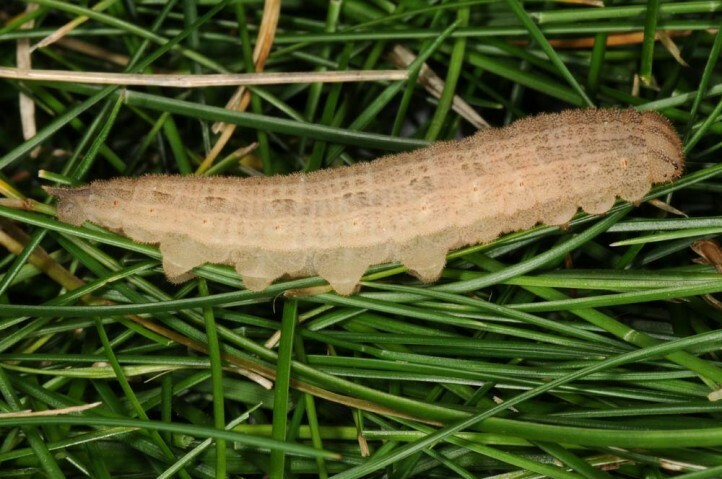 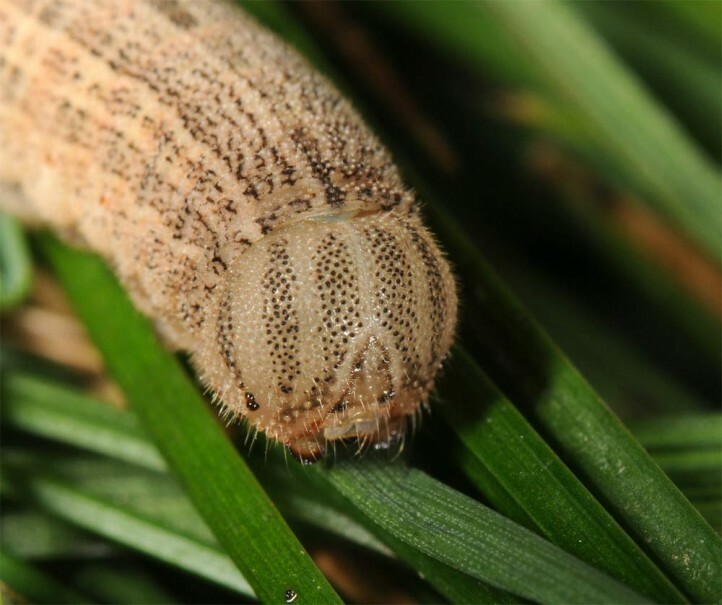 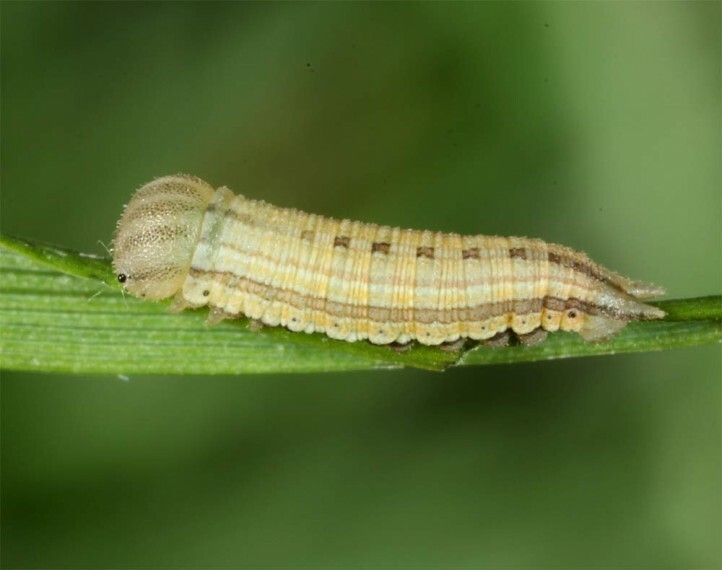 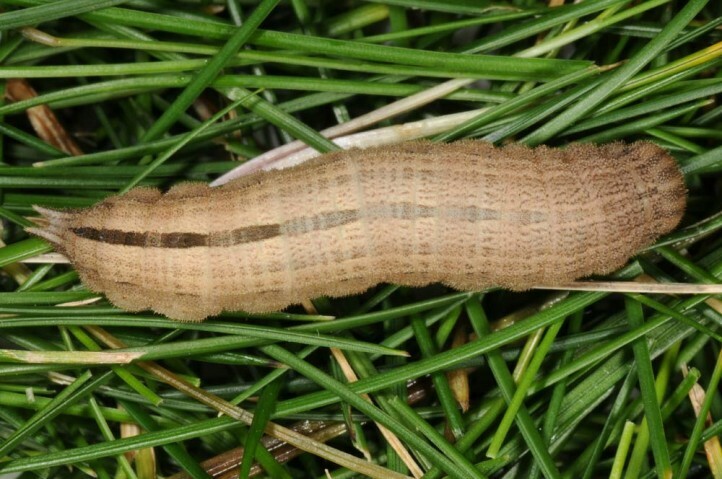 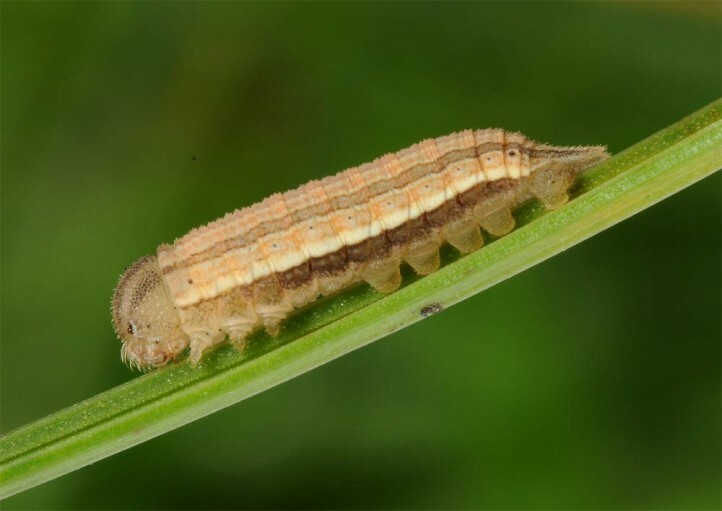 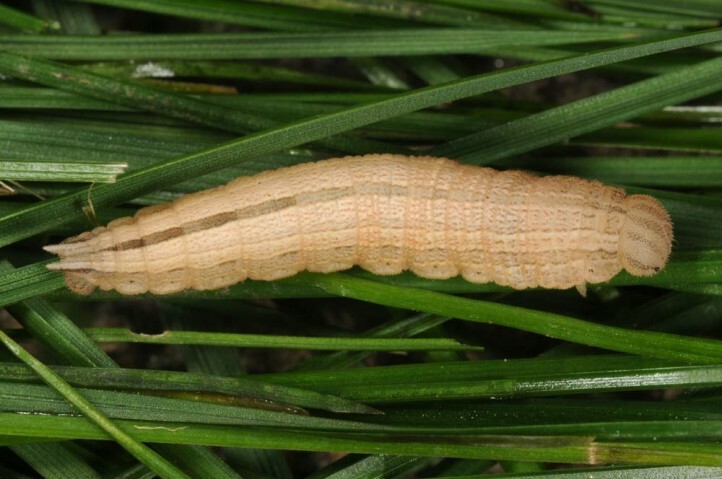 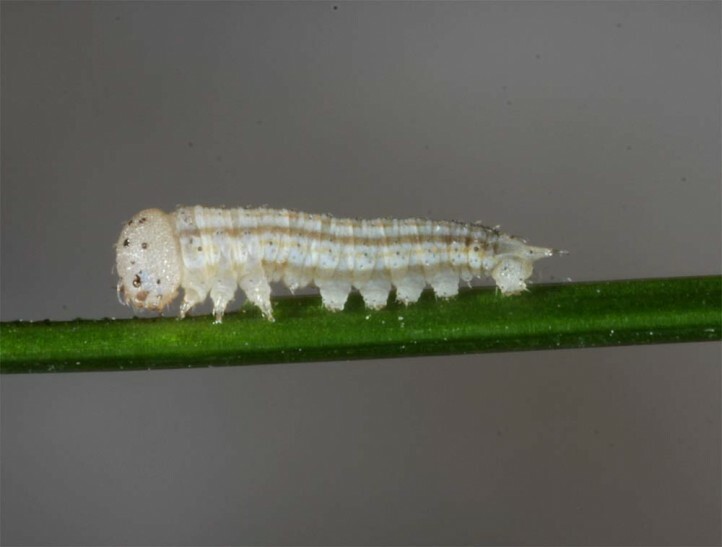 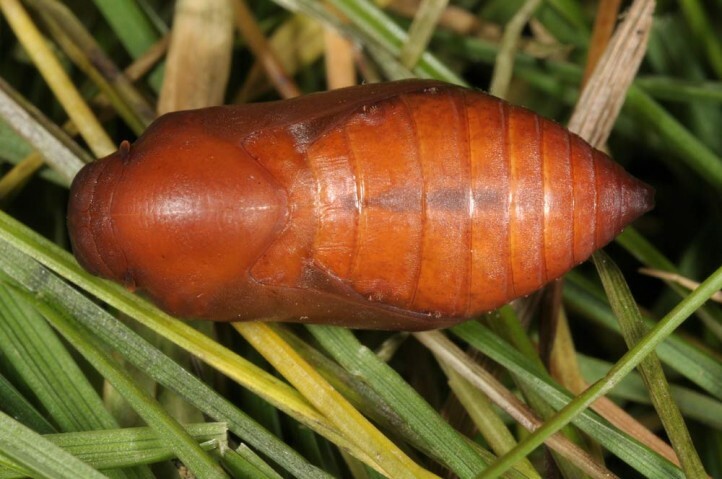 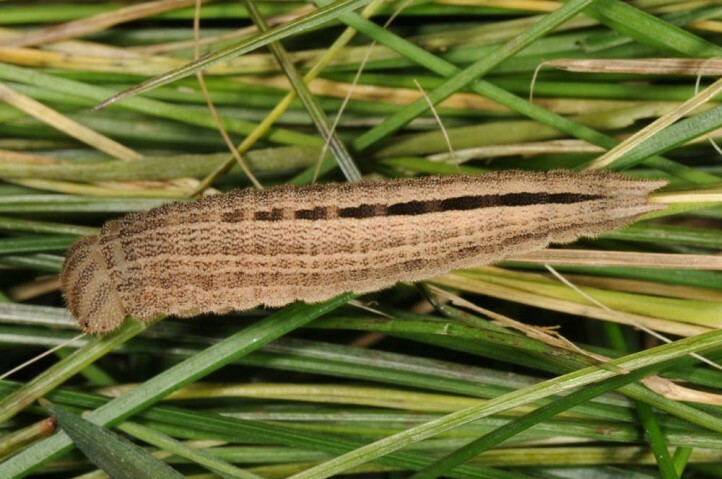 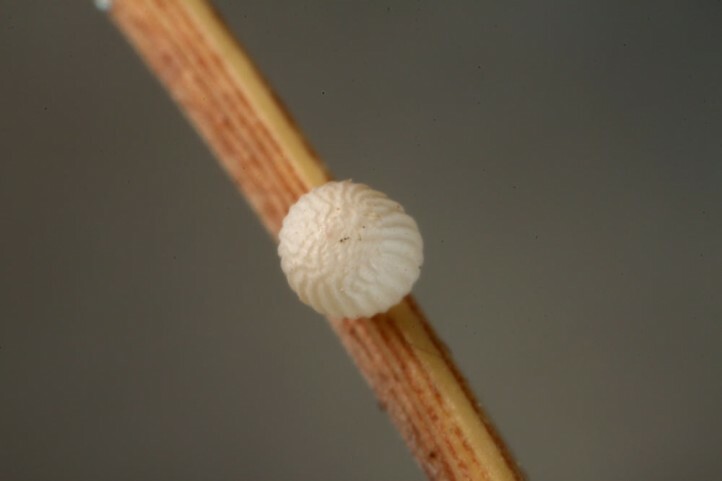 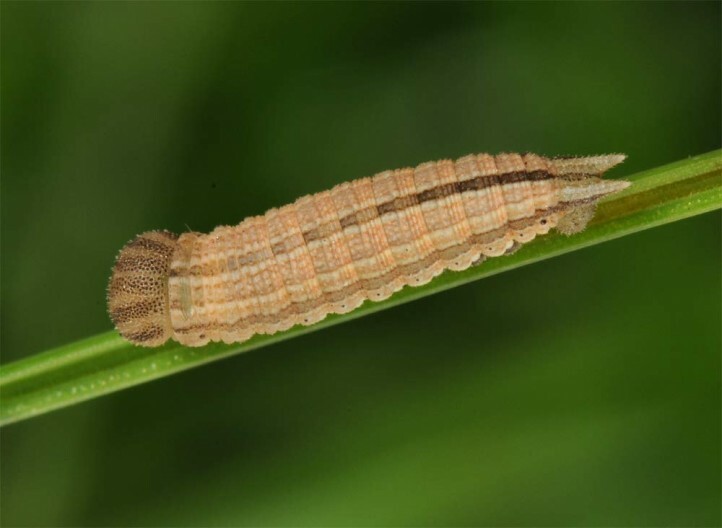 The hatching larvae are dependent on the starting autumn rainfalls which promote fresh grasses. 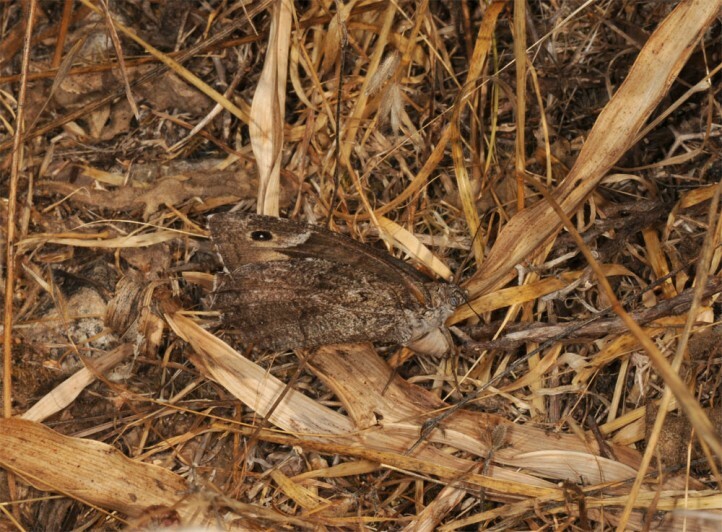 They are probable capable of surviving a couple of weeks without food, according to the annual weather conditions. 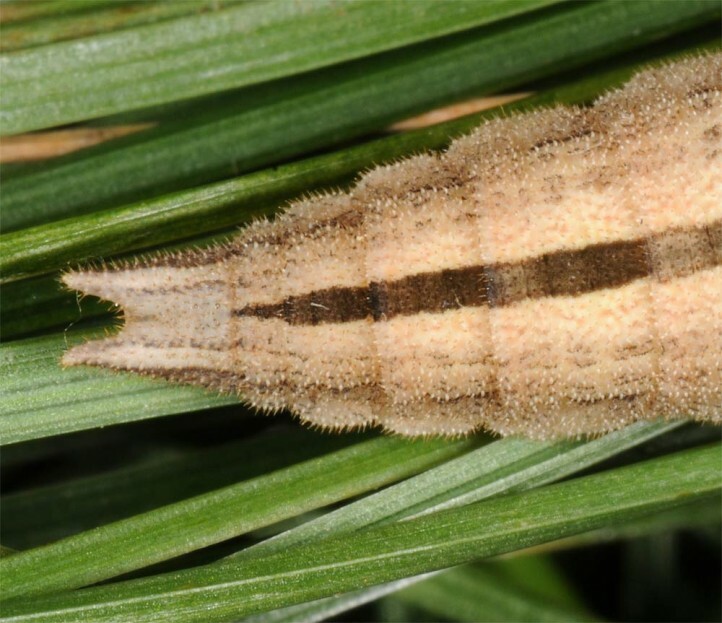 Furthermore a great variability in aestivation termination can be observed which also evens out weather variabilities. 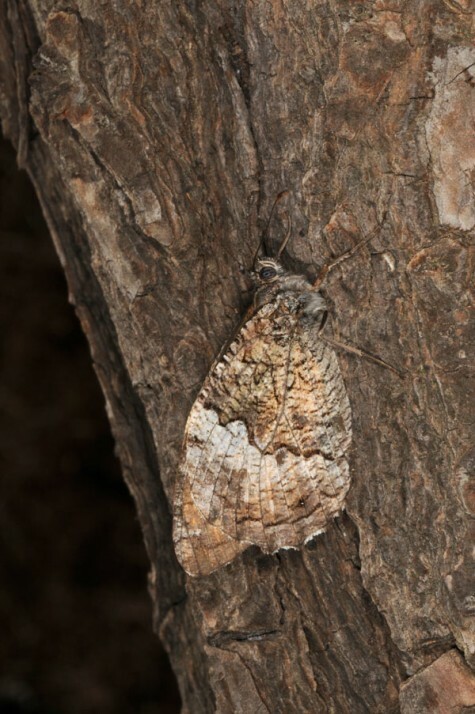 Thus adult aestivation is an approbriate strategy to survive summer drought in arid regions and can be observed with many especially larger Satyrinae. 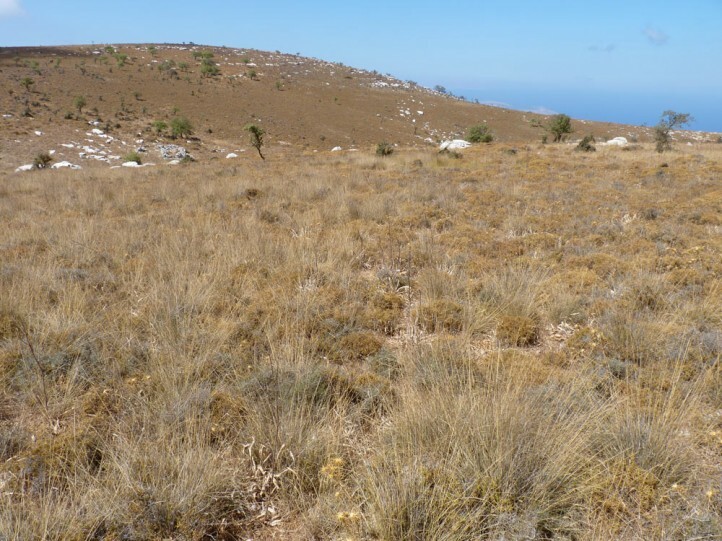 The same species often tend to reduce this aestivation in more northerly regions where it is not necessary. 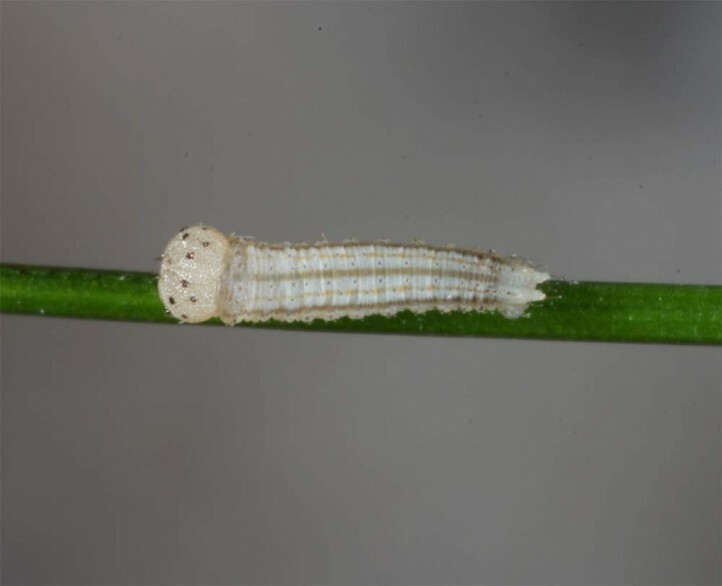 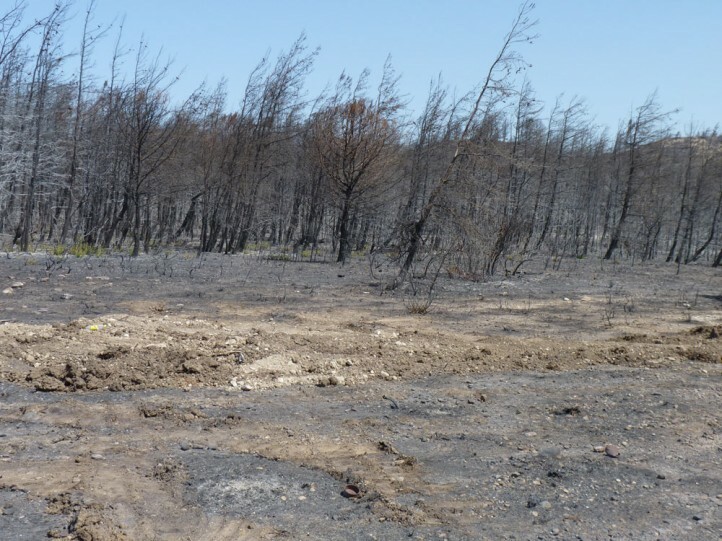 Hipparchia syriaca can be endangered by large forest fires as well as destroyment of the larval habitats (overbuilding, wind parks etc.). 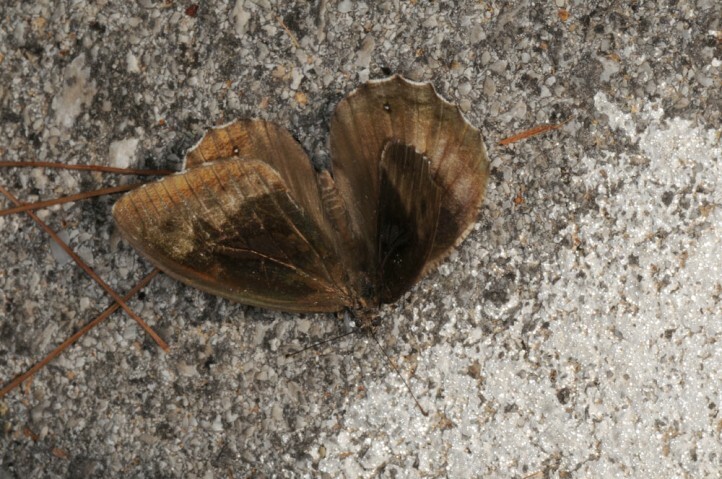 Streets crossing the aestivation habitats can also cause severe damage. 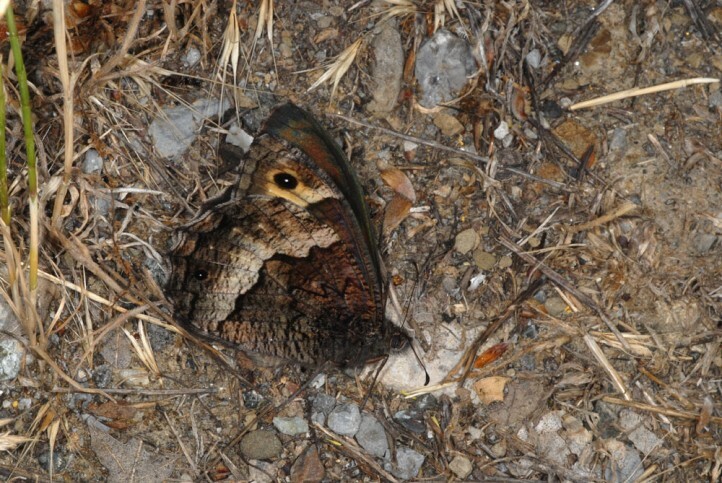 I counted 45 crushed butterflies on street of 3km length in the Attaviros region! 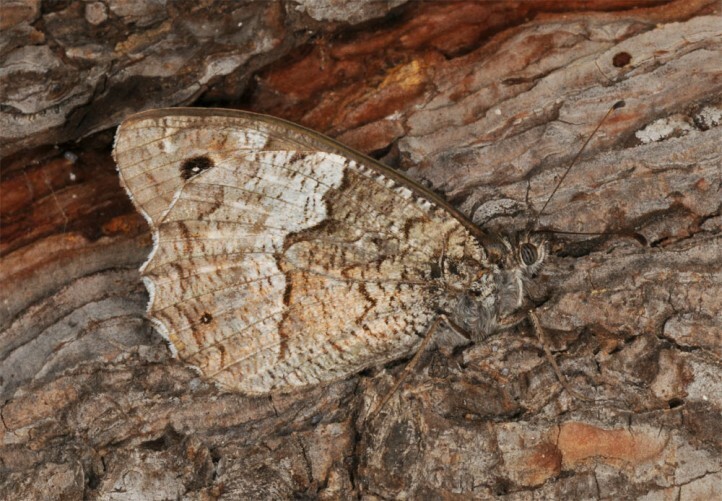 But it is so far still quite abundant at many sites. 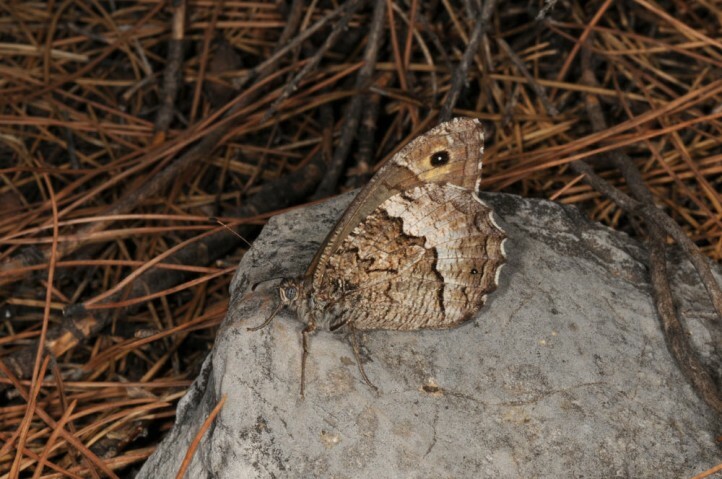 On Attaviros I observed several hundred butterflies in September 2013. 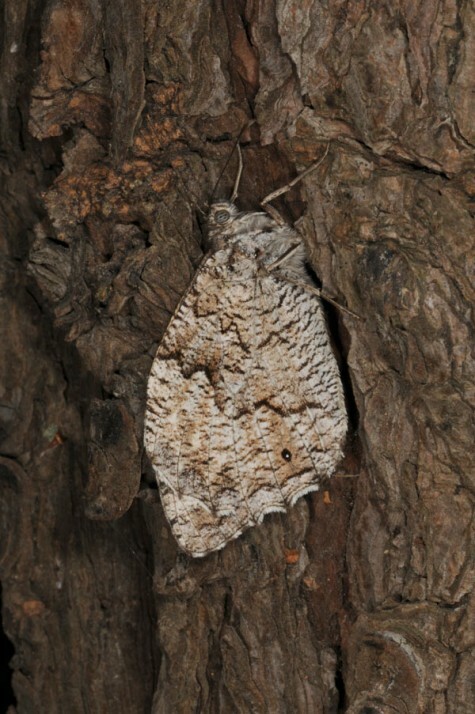 Hipparchia syriaca occurs from the Balkans (Croatia to Greece, including some east Aegean islands) across Asia Minor and the Near East to Iran. 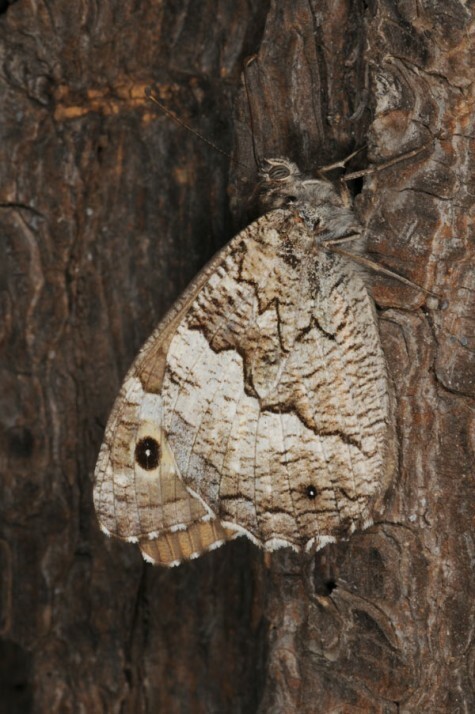 There has been described an own subspecies ghigii (Turati, 1929) from Rhodes from where originate the most photos of this page.